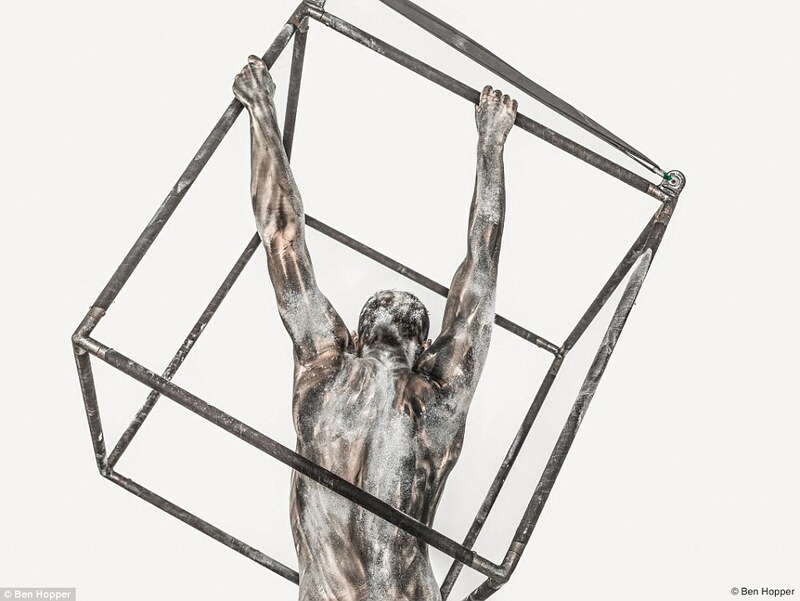 Artist Ben Hopper has transformed circus artists and dancers into living sculptures for his latest project. 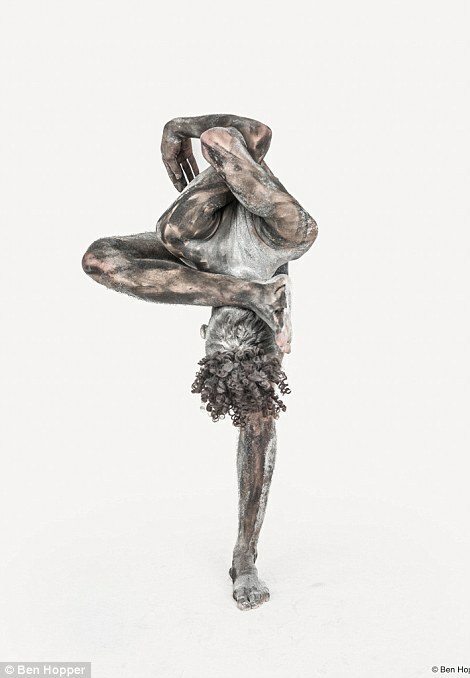 Transfiguration sees these flexible wonders as they show off their animalistic side in a series of contorting poses. 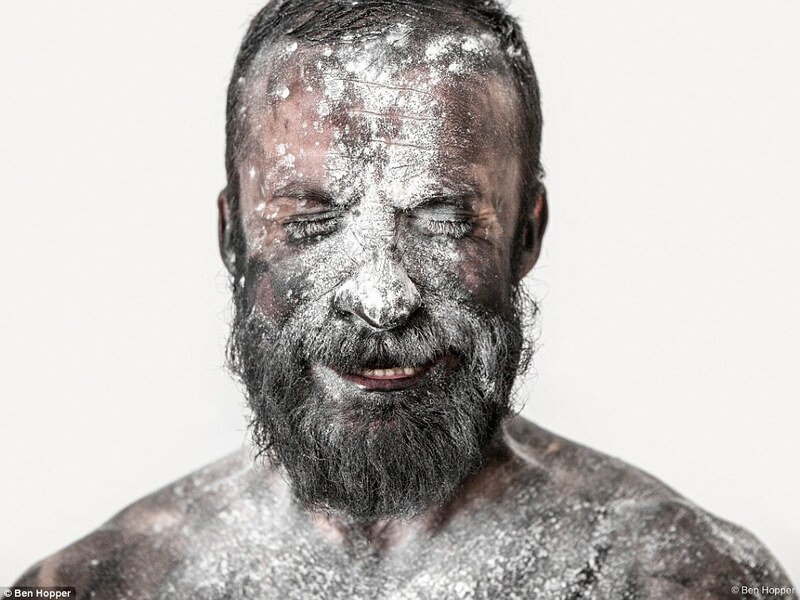 Adding to the drama is the fact that their bodies are covered with powder and paint. 'For this project I decided to work with circus artists and dancers for their physical appearance and capabilities,' explains Hopper. Among the schools included are the École nationale de cirque (Montreal, Canada), CNAC; Centre national des arts du cirque (Châlons-en-Champagne, France) and National Centre for Circus Arts (London, UK). The project is ongoing, and more images will be released at a later date. The first photo shoot with dancer Alejandra Baño dates back to November 2012. Transfiguration in the Bible is the moment in the New testament when Jesus becomes radiant upon a mountain.